The two most recent Final Fantasy titles are crossing over, and now we know what to expect when the MMORPG’s side of the event goes live. In short, you’ll be hanging out with prince Noctis Lucis Caelum, doing battle against Eos’s Magitek warriors, and it looks like you’ll also get the chance to claim the Regalia as your personal mount. Square Enix hasn’t provided much specific detail on the event, which is set to begin in the middle of April. Even so, we can get a pretty good idea of what to expect thanks to the teaser trailer, which features you partnering up with Noctis to do battle with a wide variety of enemies from FF15 – there’s even a handful of camping segments, though none of the scrumptious Final Fantasy XV food seems to be making an appearance. 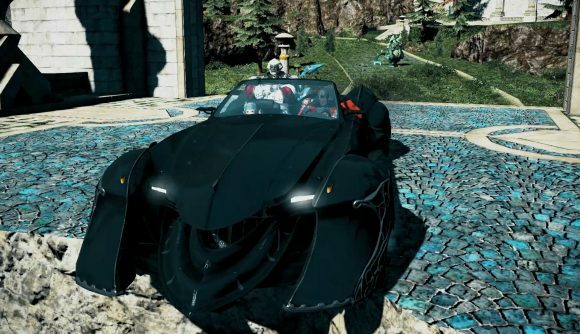 What you will get, however, is the Regalia – the ultra-cool black car which remains the best part of FF15. Judging by the bit of footage at the end of the trailer, it’ll be a four seat mount that will even let you transform and take to the skies. According to the official site, you’ll be able to participate in this event once you’re past level 50 and have finished the Ultimate Weapon quest. This certainly isn’t the only notable update coming down the line – the Viera and Gunbreakers are coming in Shadowbringer expansion, bringing some long-awaited additions to the game. The crossovers continue with a Nier: Automata raid as well. Nonetheless, FF14 fans have been waiting some time to see this side of the crossover, ever since an array of items and unique battles from the MMO hit FF15 back in December. At last, that patience has paid off.